Just stepping back to take in the whole front end, here. Notice how the stripe comes to a point just above the reflector and at the very end of the quarter panel and not on the front piece. 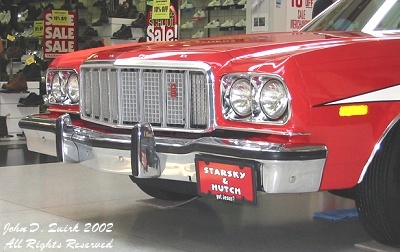 On the TV show, the stripe's black outline came to a point on that front piece of the car that surrounds the headlight.